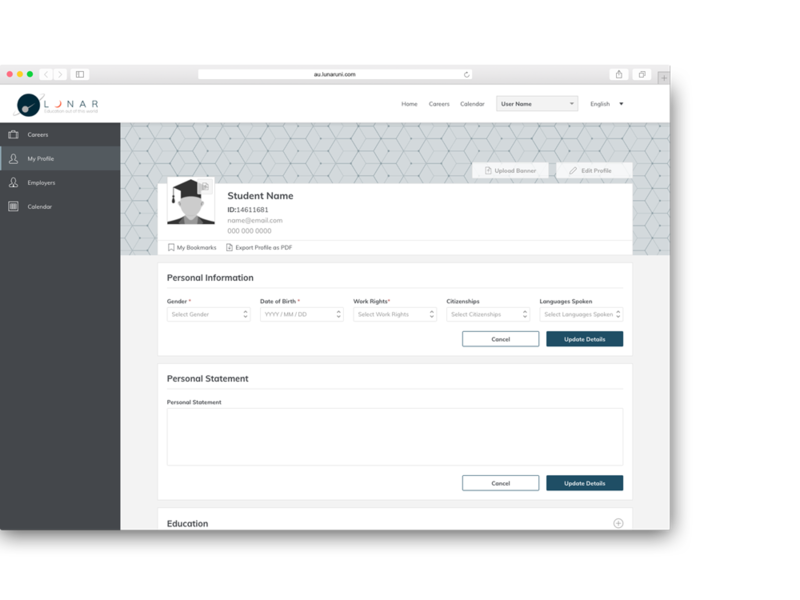 When I started working at GradConnection, the original Campus platform looked very different to the designs showcased here. 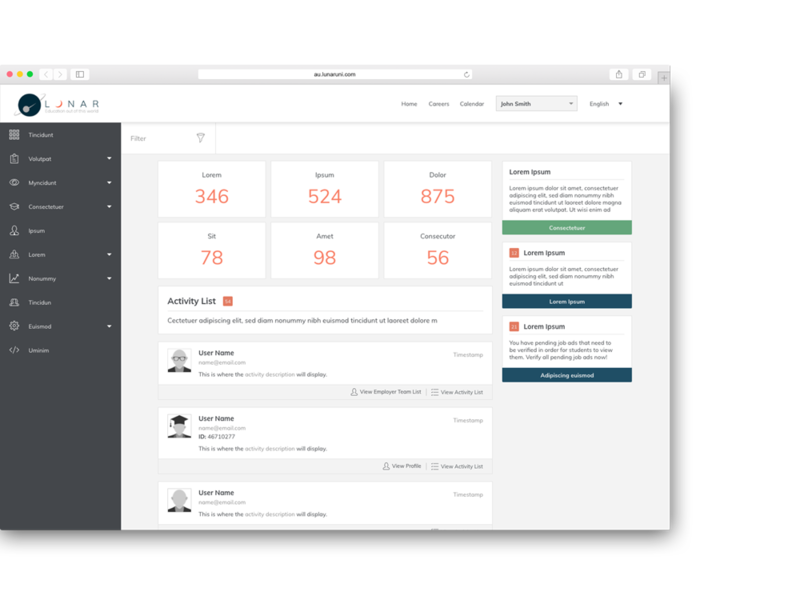 I was part of the team tasked to redesign the platform to be more user friendly, and visually appealing. Lunar University is a fictional university created by my former team members at GradConnection for their product, Campus Connect. The website is used to showcase the product to potential clients and for internal testing. 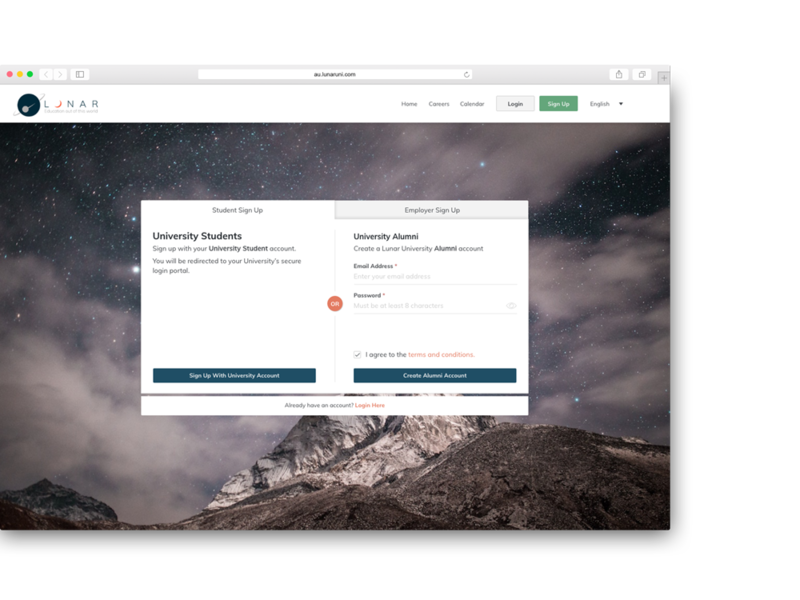 The Lunar University environment is designed to act as a placeholder and will be customised for the Universities that buy the product. 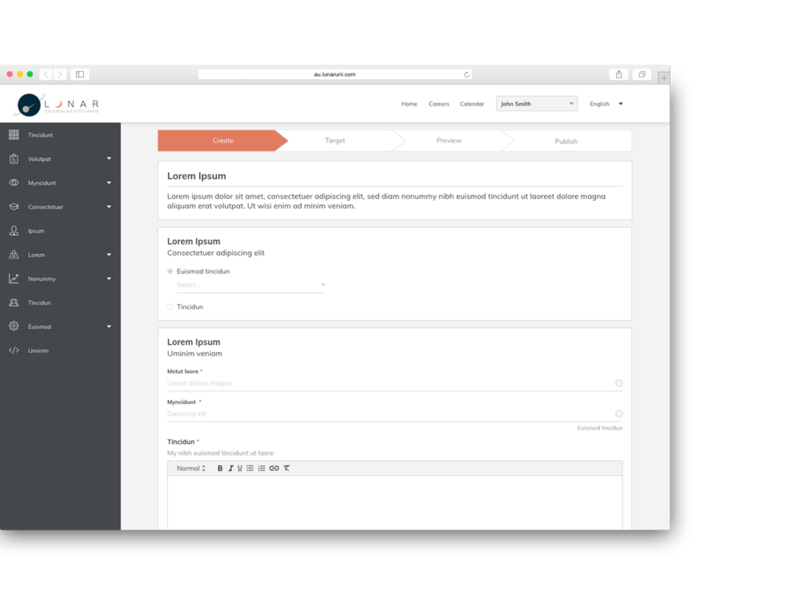 Each University have their instance of the product customised, using the Lunar University Style Guide and website as a template. 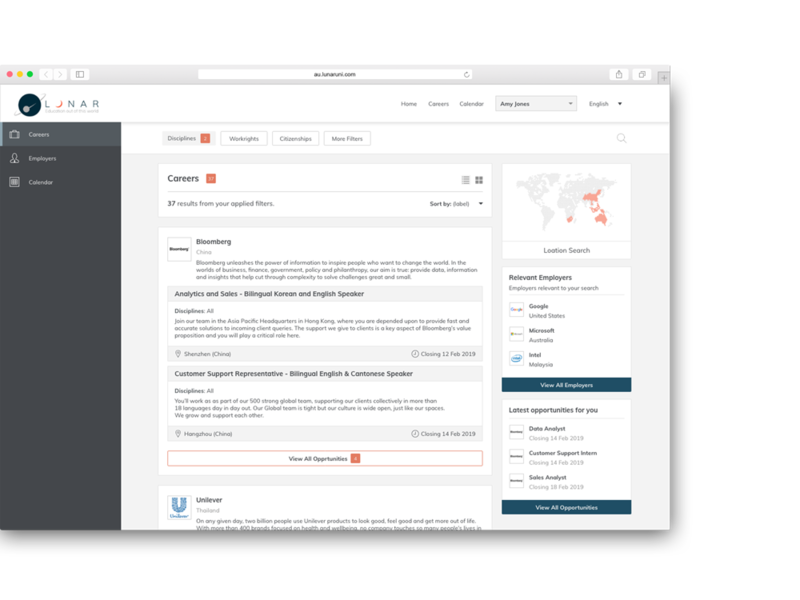 The Campus product acts as a platform to help international University students and graduates find career opportunities regardless of their visa status. 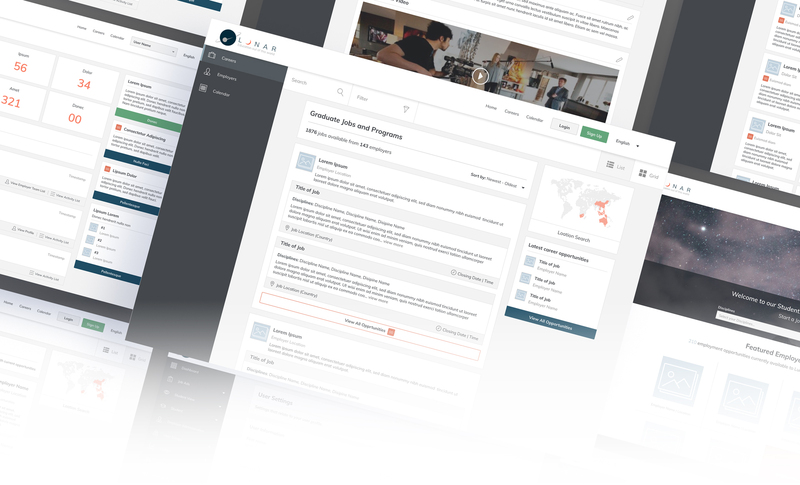 The product also has features for Employers to post job listings on the platform, and has administrative capabilities for University staff members to regulate job listings that were posted by Employer users, verify students that sign up for the platform, create events and communicate with other staff users on the platform.